One king down, and… how many to go? GAME OF THRONES has so many kings and men-who-would-be-kings, that the show can afford a little regicide to keep viewers on the edge of our seats. especially during a largely expository episode. That hideous shadow beast that Melisandre graphically birthed at the end of last episode got right to work at the beginning of this one. No sooner had Renly Baratheon (Gethin Anthony) cut a deal with Catelyn Stark (Michelle Fairley) to align with her son Robb then the shadow beast arrived in his tent, assumed the form of Stannis Baratheon and skewered Renly through the heart. Catelyn convinced the horrified Brienne (Gwendoline Christie) to delay her revenge and flee with her, and later Brienne swore allegiance to Catelyn. The next day, Renly’s bannermen flocked to Stannis (Stephen Dillane) — all except the Tyrells led by Margaery (Natalie Dormer) and the grief-stricken king’s lover, Loras (Finn Jones). She convinced her brother to delay his vengeance, as well. 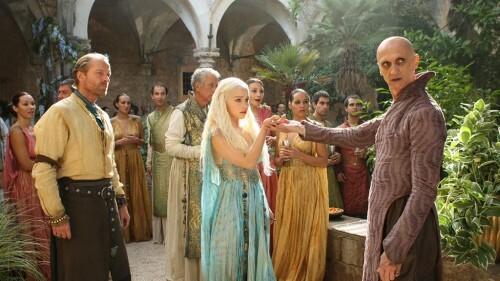 I wouldn’t want to be Stannis and the Red Witch with all that frustration against me festering. To me, the “new format” could only be a Web series. I mean, what else is left? We’ve already seen a Stargate movie, TV series, TV movies, an animated series, comic books, novels and even radio dramatizations. It’s got to be a Web series. Or a stage play. But my money is on the Internet. That newfangled World Wide Web is reportedly all the rage among the youngsters these days. Word has leaked that the studio and producers of the remake of Carrie want to use the “found footage” trope employed in far too many movies already. This is the worst idea I’ve heard since… well, since the idea of remaking Carrie. Apparently, at least some of the movie will use the unimaginative technique, but the whole film will not necessarily be shot that way. The details are hazy, because the information is trickling out after the CEO of MGM, Roger Birnbaum, gave a speech at the University of Denver, his alma mater. The reason I am so disappointed in this news is that – setting aside the boring idea of an unnecessary remake of a fine, iconic movie – the talent associated with project is very promising. It will be directed by Kimberly Peirce (Boys Don’t Cry) and feature Chloe Grace Moretz (Let Me In, the remake of Let the Right One In) in the title role. And Julianne Moore has been offered the role of Carrie’s whacko mother. Also, the screenplay, adapted by Roberto Aguirre-Sacasa, is supposed to stick closer to Stephen King’s novel. The idea of using “found footage” makes me feel like this is just a complete money-grab by MGM, but won’t even be interested in letting the new production put interesting spin on the project. 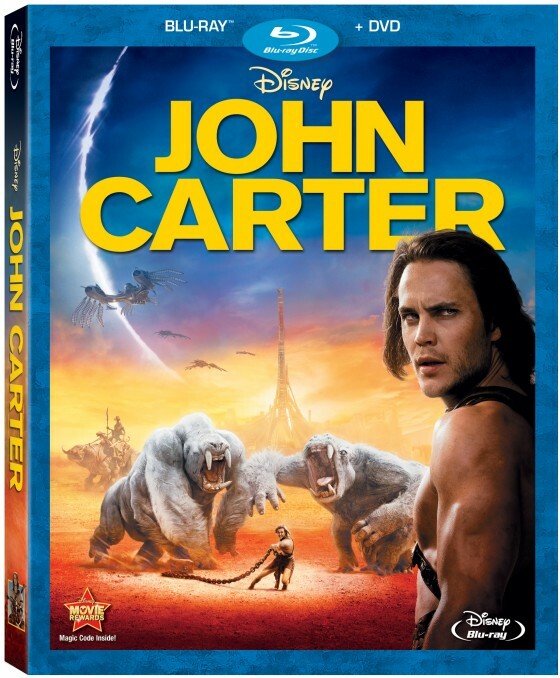 I expected Disney to dump the DVD of John Carter on the market quietly, like a Las Vegas gambler burying a body in the desert. But the Mouse House is giving the release top-tier treatment as a 4-Disc Combo Pack (3D BD + 2D BD + DVD + Digital Copy), as well as a 2-Disc Combo Pack (Blu-ray + DVD), a 3D DVD, and a 1-Disc version. Oh, and and On-Demand. All of this on June 5. 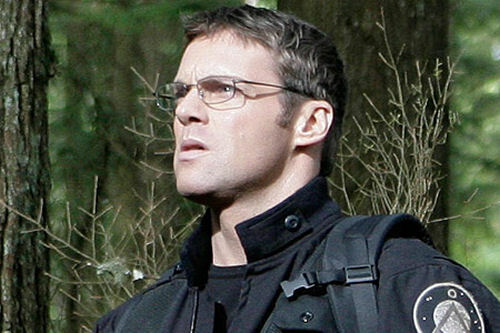 Including calling Andrew Stanton the Oscar-winning director of WALL-E (something the ads for the theatrical release never did) and cites star Taylor Kitsch’s FRIDAY NIGHT LIGHTS connection and Lynn Collins’ role in X-Men Origins: Wolverine. I mean, how stubborn is she? Forget about refusing to see the handwriting on the wall — she denies the handwriting on the inside of her eyelids! I am at a complete loss to rationalize why she cannot see that she will be the first woman to go after the power trio disposes of the now cravenly pandering Tarzan. You can’t make this stuff up! In addition to California’s usual terrifying hazards — earthquakes, mudslides, wildfires and Real Housewives — we can add fireballs! 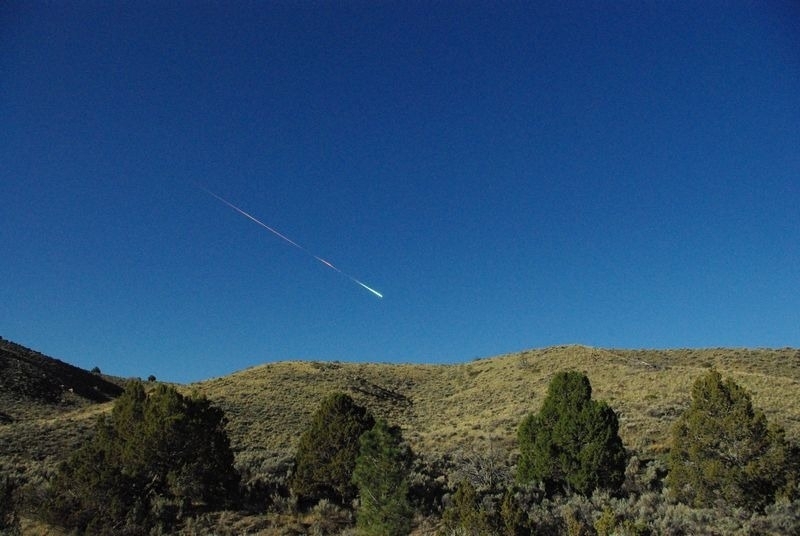 If you’re wondering why it was called a fireball instead of just a plain old meteor, the International Astronomical Union defines a fireball as “a meteor brighter than any of the planets.” Since this one was clearly visible in daylight, it was a hell of a lot brighter than any planet. Astronomers also toss around the word bolide to describe an especially bright fireball or one that generates audible sounds. Or one that explodes!